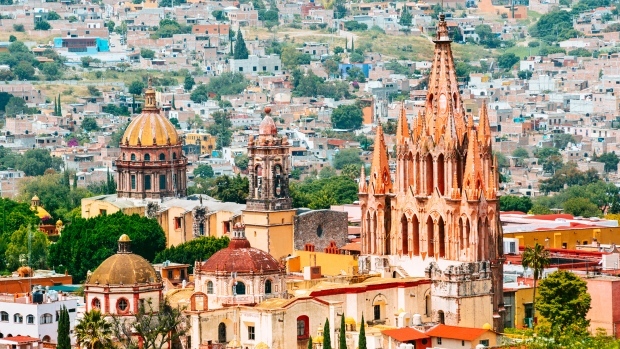 Travellers looking for a destination that comes with a satisfaction guarantee may want to consider San Miguel de Allende, which tops Travel + Leisure's world's best cities list for the second year in a row. In the 2018 edition of the travel magazine's World's Best Awards, readers gave San Miguel de Allende in the highlands of central Mexico the highest score, helping it maintain its stronghold as the top city in the world. Though big enough to be considered a cosmopolitan city, its cobblestone streets, flower-festooned buildings, and dynamic arts scene lend it an inviting old-world charm, readers say. "This is one of the best cities in the world," one T+L reader wrote. "There are lots of stores selling local artisan crafts, jewelry, and art. Bring an extra suitcase!" Mexico emerged a favorite in this year's awards: After San Miguel de Allende, Oaxaca takes second spot for its rich food culture and history. Overall, readers were also particularly enamored by India and Southeast Asia this year. The romantic lakeside city of Udaipur in India rounded out the podium of top three cities, and was followed by Ubud, Bali's "spiritual center," editors note. In fact, half the list is represented by the region, with Luang Prabang, Laos, Hoi An, Vietnam and Chiang Mai, Thailand rounding out the top 10 spots. According to editors at Travel + Leisure, the hallmarks of a "truly great city" include jaw-dropping architecture, distinctive restaurants, rich cultural offerings, teeming street life, friendly population and a harmonious relationship with nature. 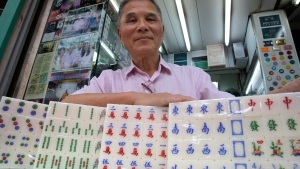 Played at Lunar New Year and other gatherings, mahjong has become a symbol of friendship and family bonds but it's a dying craft in an era of mass-produced tiles for the table-top game, popular in southern China, Hong Kong and Taiwan.